Established in 1979, Chansons has over 36 years performed a very wide range of repertoire. We sing unaccompanied or with piano or organ, or with an orchestra, as the music demands. The last year alone has seen us perform a Haydn Mass, two James MacMillan motets, a suite of folk-song arrangements about the Jacobite Rebellion, and ‘Scotland at Night’, a setting of poems about night-time. We usually put on a Christmas Charity Concert too in December, to ready us and our audience for Christmas. We have around 40 singers, drawn from Perth & Kinross, Tayside and Fife. 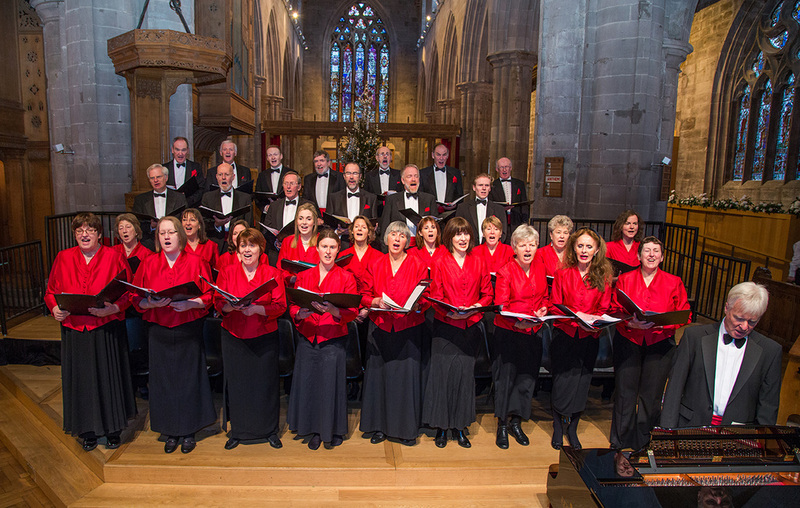 We sing in a number of venues in Perth, giving several concerts each year – our most popular venues in Perth are St John’s Kirk, St Ninian’s Cathedral and St Mary’s Monastery. We also perform elsewhere in Scotland when the opportunity arises. In recent years we have sung in Kinross, Kirkcaldy, Ruthven in Angus, Glamis Castle, Cults, St Machar's Cathedral in Aberdeen, Dornoch Cathedral, Inverness, Benbecula and North Uist. Our most recent tri[p away was to Perth’s twin town Aschaffenburg in Germany, where we gave a joint concert alongside their local chamber choir, Ars Antiqua. We have also sung in Perth’s twin town Cognac in France and have competed in an international Choral Festival in Coleraine. We take on engagements as a wedding choir, helping to ensure an uplifting ambience for a wedding ceremony. 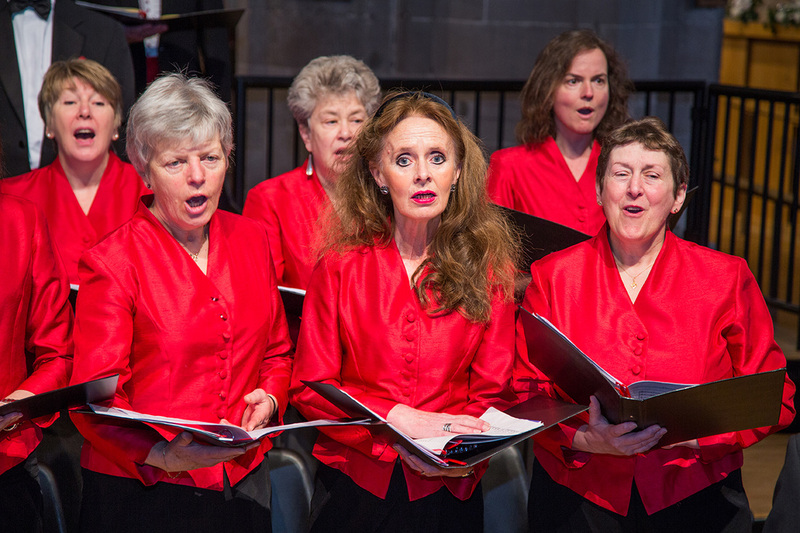 The choir is run by a committee of choir members and is a registered Scottish Charity. 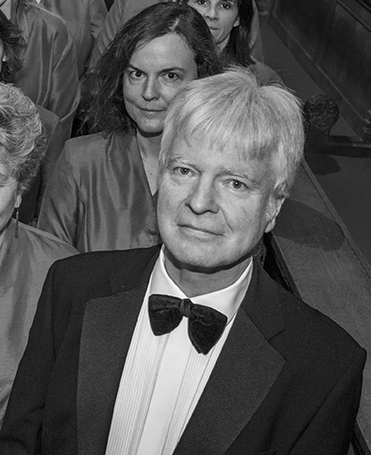 Howard Duthie has conducted Chansons since 2002. He led a successful career in music education, at the Royal High School and George Heriot’s School in Edinburgh, and latterly at Morrison’s Academy in Crieff. He has recently retired from full-time teaching and is now involved in a wide range of professional performing activities in Perthshire and beyond. Howard is also Director of Music and Organist at St John’s Kirk, Perth. Chansons is a registered Scottish Charity: SC035974.